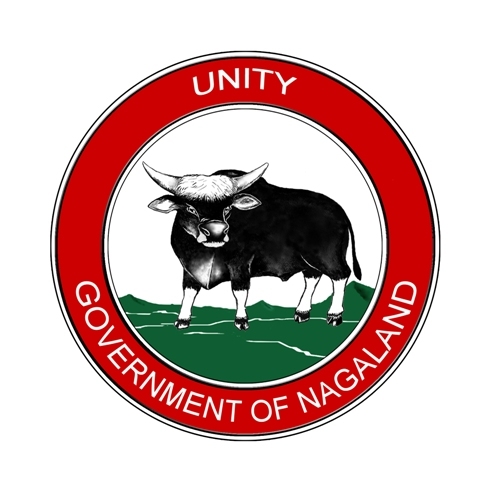 Significance of festival in Nagaland, situated in North-Eastern part of India, is repleted with festivities, with year long festivals; each with different and authentic customs just as the many tribes graces the state of Nagaland. Sangtam, one of the richest and most colorful tribes from Kiphire districts have 12 festivals of which Mongmong is considered to be the most important of all. The word “Mongmong” meaning “Togetherness Forever” is celebrated for 6 days from 1st—6th of September every year. Each of these six days holds special significance for the Sangtam community. The pre-dominant theme of the Mongmong is to hark on the harvest season and invoke upon “LIJABA” the Supreme Being for a bountiful harvest, prosperity and longevity. The festival commences after the second announcement/ proclamation by the “Bebürü” (a priest from the Anar clan). The first announcement denotes the separation of the spirit of the death from the living and the rituals continue throughout the festival. With the advent of Christianity, these ancestral beliefs are no longer in practice. As time passes all these traditions are forgotten and slowly fading away. It is only during the Mongmong festival, that the beliefs of these traditions and customs are rekindled to the present generation through folklores. Day-I: Jangsika, on this day villagers kill Pigs, Mithuns etc…, and prepare stocks like firewood, water and other vegetables etc… for the whole festival. Day-II: Singkithsa, on this day it is forbidden for the villagers to fetch water until the eldest woman in the village would take the first scoop of water. Day-III: Müsüyangtüp, a very special pig would be killed, and the eldest woman in the family will perform the ritual of feeding the 3 fire place stones with rice and meat before distribution of meat to the family members as a gesture of mass participation in ritual activities. Day-IV: Kikhalangpi, Clearing of the foot-path leading to the village pond/ water-well where villagers normally fetch water. A wealthy person of the village would lead the youths for social work. There will be sumptuous feast in one of the elder’s house after the social work. This was also a day for sharing and drinking rice beer and eating special cooked food among the villagers. On this day folk songs, dances and traditional games are performed. Day-V: Achangka Singkithsa, the villagers plant tree branches tied with specific items like cotton, chilli etc …along the village junctions, which they believed would ward-off sickness and diseases. This also symbolizes the end of Mongmong festival. Day-VI: A certain leaf known as “Throngba” (Nettle/a stinging weed) was placed on the walls and roofs of the houses with the belief that it would sting away the evil and diseases. Tuluni is a festival of great significance . This festival is marked with feasts as the occasion occurs in the bountiful season of the year. Drinking rice beer indispensably forms as part of feast. Rice beer is served in a goblet made with the leaf of plantain. This wine name is called TULUNI. Therefore, consumption of the wine is called “TULUNI”. Tuluni is also called “ANNI” the word of which denote the season of plentiful crops. This midyear (July) festival is the greatest and most fervent moment for the Sumi Community of Nagaland. During this festival, betrothed exchange the basketful of gifts with meals. Fiancé is invited to a grand dinner at the fiancée’s residence. Even siblings of the families of both the bride and groom exchanges dinner and packed food and meats. It is a time of joy even for the baby-sitters. On this day they are fed generously with food and meat. Cultivators usually work in groups and specially for Anni (Festival) they keep budged with either pigs or cows are procured and the butchered animals are shared among the members. The served meat is used for group feast. In the midst of the feast group leaders gets extra offer of meat by way of feeding them by others. Each working group consists of 20 to 30 in number which includes several women too. The new recruits are also made to add the group at this grand feast. The Betrothed are settled at this period. The fervours of feast is synchronised with a chain of folk songs and ballads. Sumis have two different clan-heads, viz. Swu (Sumi) and Tuku (Tukumi). By virtue of two separate clans the gennas and rituals differs between Sumi and Tukumi. Among all other festivals and gennas, Sumis in general accepted the festival of Tuluni as the most grand and important one. AHUNA is a traditional post-harvest festival of the Sumis. AHUNA signifies the celebration of the season’s harvest in thanksgiving, while invoking the spirit of good fortune in the New Year. On this occasion, the entire community prepares, and feast on the first meal of rice drawn from the season’s harvest cooked in a bamboo segments. The receptacles for cooking or serving on this occasion are freshly made, curved or cut, from indigenously available resources prolific and abundant in the countryside. Note:”AHUNA” has recently replaced Tuluni as the official festival of the Sumi naga tribe. The Yimchunger celebrate the Metemneo festival after the millet crop is harvested. This festival is celebrated by the Yimchunger tribe in second week of August. But the festival is also connected with praying for the souls of the departed. Young girls and boys also get engaged during this festival which is spread over five days. With its strong agriculture bias, it’s not surprising that agricultural implements are worshiped.